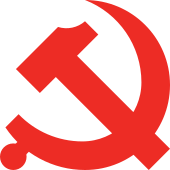 The Central Secretariat of the Communist Party of China is a body serving the Politburo of the Communist Party of China and its Standing Committee. The secretariat is mainly responsible for carrying out routine operations of the Politburo and the coordination of organizations and stakeholders to achieve tasks as set out by the Politburo. It is empowered by the Politburo to make routine day-to-day decisions on issues of concern in accordance to the decisions of the Politburo, but it must consult the Politburo on substantive matters. The secretariat was set up in January 1934. It is nominally headed by General Secretary, though the position of "General Secretary" was not always one and the same as the top party leader. Secretaries of the secretariat (Shujichu Shuji) are considered some of the most important political positions in the Communist Party and in contemporary China more generally. By protocol, its members are ranked above the vice chairmen of the National People's Congress as well as State Councilors. The General Secretary presides over the work of the secretariat. The Secretariat of the Central Committee was formed in January 1934 at the 5th Plenary Session of the 6th National Congress of the Communist Party of China, which was held in Shanghai. On March 20, 1943, the Politburo, in a joint decision, decreed that the secretariat will be responsible for carrying out the work of the Politburo according to the general policy framework determined by the Politburo, and that it is vested with the power to make decisions within this general framework. In 1956, the party created the position of the "General Secretary" to head its secretariat. The position is not that of the foremost leader in the party, which at the time was the "Chairman of the Central Committee". Rather, the general secretary was in charge of carrying out the day-to-day work of the Communist Party's Politburo. Its inaugural general secretary was Deng Xiaoping, with prominent political figures such as Peng Zhen and Tan Zhenlin being secretaries. During the Cultural Revolution, the post of general secretary as well as the secretariat itself completely ceased to function. Beginning at the 9th Party Congress, party documents made no mention of the secretariat. The body was restored after the Cultural Revolution in February 1980, with Hu Yaobang occupying the position of first-ranked secretary, which is analogous to the position formerly called the "General Secretary". Since its reinstatement, the composition of the secretariat has varied between 6 and 12 members. Wan Li, Hu Qili, Hu Jintao, Zeng Qinghong, Xi Jinping, and Liu Yunshan have all successively held the position of the first-ranked Secretary of the secretariat. The secretaries of the secretariat are ranked highly in the order of precedence among "Party and State Leaders". The secretaries rank under the Politburo, but ranks above the Vice-Chairpersons of the National People's Congress Standing Committee. Liu Yunshan, Liu Qibao, Zhao Leji, Li Zhanshu, Du Qinglin, Zhao Hongzhu, and Yang Jing (Mongol). Wang Huning, Ding Xuexiang, Yang Xiaodu, Chen Xi, Guo Shengkun, Huang Kunming, You Quan. This page was last edited on 22 January 2019, at 08:16 (UTC).